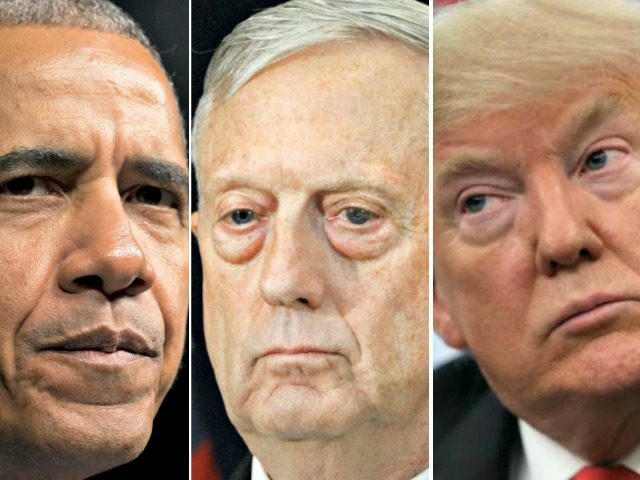 President Donald Trump said he gave Gen. Jim Mattis a “second chance” after he was fired by former President Barack Obama. “When President Obama ingloriously fired Jim Mattis, I gave him a second chance. Some thought I shouldn’t, I thought I should,” Trump wrote on Twitter on Saturday. Mattis was pushed out as the commander of Central Command in 2013 by the Obama administration due to his aggressive position against Iran. Despite Trump’s widespread praise for Mattis, the famous general resigned on Thursday in protest of Trump’s decision to withdraw troops from Syria. He is scheduled to leave in February. His resignation shook the Washington, DC, establishment to the core, as many criticized Trump’s insistence on getting American troops out of the Middle East. Brett McGurk, the U.S. Envoy to the coalition against ISIS, resigned on Saturday in protest. Trump suggested that McGurk was only grandstanding, noting that he was previously appointed by former President Barack Obama. He also claimed that McGurk was already scheduled to leave in February. “The Fake News is making such a big deal about this nothing event!” he protested. Trump described his relationship with Mattis as “interesting” but reminded him that he fully funded the military during his time as Secretary of Defense. Mattis suggested that he had strong differences with Trump for his mistreatment of American allies across the globe. “Allies are very important – but not when they take advantage of U.S.,” Trump wrote.